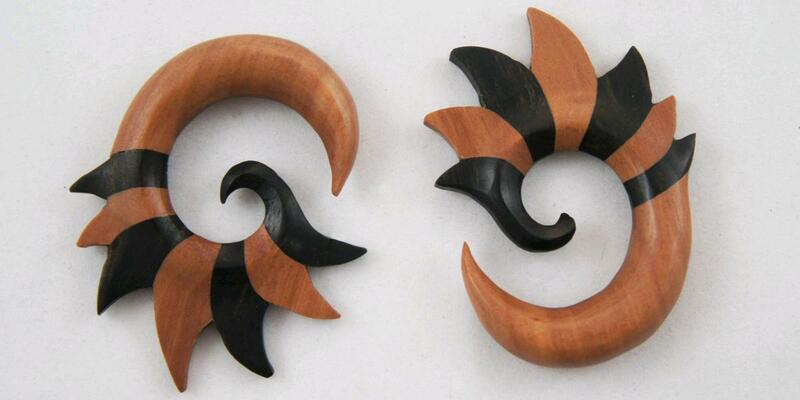 These Spiked Spiral Tribal earring gauge hangers feature alternating bands of Sono and Dark Ebony Wood. 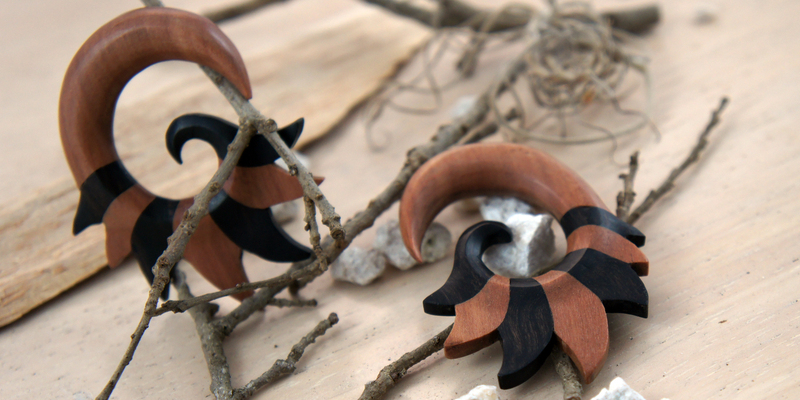 The ear hanger / hook portion of the earring is carved from Sono Wood, and then each blade section of the gauges alternates between the lighter colored Sono Wood and the darker toned Ebony Wood. The piece takes advantage of the separate wood grains and wraps the edges of the blades together for a really spectacular look. As with all of our gauged earrings we try to carry most of the popular gauge sizes, but if you don't see your size listed please feel free to contact us or check back later since we're constantly restocking or adding new sizes and styles to our line.